Senior Care - How to treat hand ailments - Carelink Home Care Inc.
Topical Ointments: Analgesic creams, rubs, and sprays are considered the over-the-counter options for topical pain relief – everything from Icy Hot to Arnicare. Topical NSAIDS can be recommended by your doctor as well and rubbed on joints to relieve arthritis pain in the hand. Braces and Splints: Wraps, braces, and splints can be worn on the hand, wrist, and arm to stabilize the structure of the hand and limit movement that may stress already inflamed joints. You can find helpful braces and splints in most big box stores, online, or at your local pharmacy. 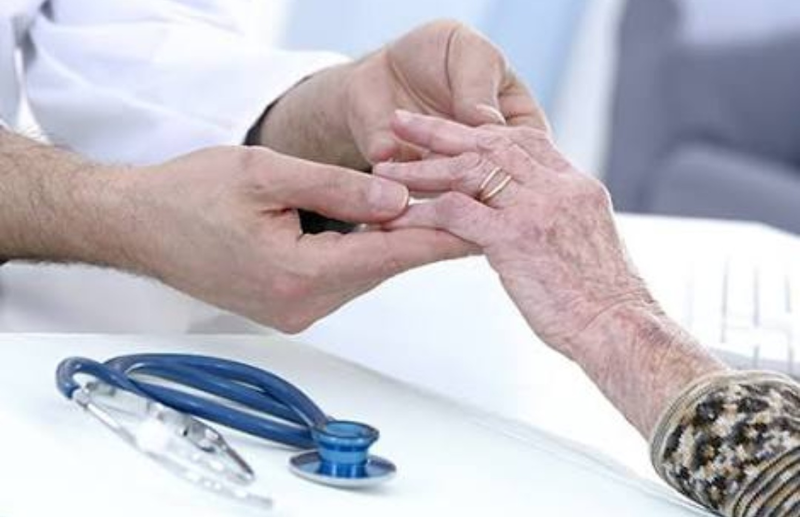 Seniors frequently develop ailments related to overuse of the hands and joints. Wearing a splint device can keep the hand in a neutral position and relieve stress. Many seniors find relief from wearing a splint at night or during certain activities. Hot and Cold Packs: People who suffer from stiffness of hands due to arthritis can benefit from gentle hot compresses. The heat enhances blood flow to the area and relieves stiffness. Cold compresses reduce swelling and are effective for relieving temporary hand pain caused by overexertion. You can make a hot compress by soaking a washcloth in warm water, or you can make a cold compress with a bag of frozen peas. Remember to always apply heat or ice packs with a barrier (like a towel) in between it and your skin. Talk with your doctor about applying cold/ice if you already have poor blood circulation as ice packs can exacerbate it. Medical Intervention: Your healthcare provider may choose pharmacological or surgical intervention to address your hand pain. While not as frequent as the alternatives mentioned above, depending on your situation, these may be options discussed with your doctor. If your loved one’s hand pain or immobility is caused by inflammation, corticosteroids may help. This medication is applied directly to the affected area by way of an injection into the joint. It can provide relief for several months. Talk to your loved one’s doctor to see if this treatment may work. Hand exercises: Practicing fine motor skills with your hands like picking up small objects with your fingers, crafting Origami, or knitting is vital to retaining strong mental health and combating memory loss. Gentle stretches and exercises can relieve hand ailments because they build muscles to cushion the joints. A simple stretch involves starting with a flat hand, curling the fingers at the top knuckle, and then curling them further into a tight fist, straightening them at the middle knuckle while keeping the fist shape, then reversing the steps back to a flat hand. Talk to a physical therapist about more extensive exercises. Professional caregivers can assist your elderly loved one with mobility and exercise, medication reminders, and other daily tasks. The health of your hands influence the health of the rest of your body – as you age, make sure to take care and prepare! Carelink Inc. delivers the highest standard of quality care to individuals needing home health care from our Floral Park and Brooklyn, NY locations. For over 20 years we have been providing trusted home health care services from an experienced and carefully selected staff. We take pride in offering personalized services and a warm approach to put our clients at ease. Our services are available for patients of all ages and medical conditions. We aim to ensure your loved one can remain in the home where they are most comfortable.